THE government should offer assured income to farmers and shield them from erratic weather conditions. These are a few of the demands of farmers’ groups from the Union Budget 2011-12, which will be tabled in February-end. To address the declining growth in agriculture, the government should allocate more funds for sustainable farming, offer direct subsidies to small farmers and introduce scientifically calculated minimum support price (MSP) for crops, noted 11 farmers’ organisations from across the country united under the Indian Coordinations Committee of Farmers Movement (ICCFM) in a press release. Several farmers’ leaders also demanded more funds for research and development in the agriculture and allied sector, and a review of crop insurance schemes. “Uncertain weather conditions have made farmers’ lives miserable,” said Yudhvir Singh, general secretary of the Bhartiya Kisan Union (BKU). The government should, therefore, review the National Agricultural Insurance Scheme. In its current form, it does not address the loss incurred by individual farmers. If there can be health and car insurance for an individual, then why not individual farmer insurance? Singh asked. The government should also introduce special schemes for rainfed areas and promote dry farming. It is one of the solutions to protect farmers from extreme weather conditions, he added. 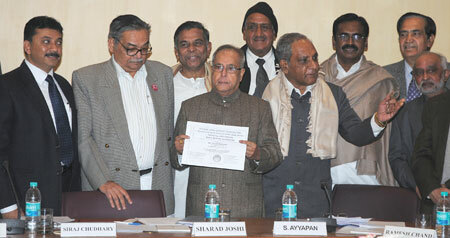 Vijay Jawandhia, activist from Vidarbha and former president of ICCFM agreed. Assured income is the only way to safeguard the country’s farmers from climate change impacts. But it should not be like the last budget, wherein Finance Minister Pranab Mukherjee announced Rs 300 crore for 60,000 villages for promoting pulses and oil seed cultivation. The amount boiled down to Rs 50,000 per village. This budget the finance minister should consider offering Rs 5,000 per acre (0.4 hectare) per season as direct economic support to farmers growing oilseeds, food grains and pulses, or a fixed minimum wage on the lines of NREGA (National Rural Employment Guarantee Act), he suggested. ICCFM demanded implementation of the recommendations of the M S Swaminanthan committee, which advises that MSP should include at least 50 per cent over and above the cost of growing crops; it is 15 per cent now. Singh said BKU will gherao Delhi on March 9 if the committee’s recommendations are not included in the budget. The finance minister should also address the flawed export-import policy for crops, said Singh. “When global prices go up, the government puts a tab on exports forcing farmers to sell crops at a low rate, and when there is a slump, it imports crops, again forcing farmers to sell at a low price,” he rued. Samit Aich, executive director of Greenpeace India, said the government should allocate more funds for promoting organic fertiliser and eco-farming. Speaking at the pre-budget consultation meeting held by the finance minister, Sharad Joshi, founder of Shetkari Sanghatana, also supported promotion of eco-farming. The government should grant a lump sum endowment for land under organic farming, he said. The farmers’ groups, however, remained split over issues like GM crops, crop prices and foreign direct investment (FDI). Budget allocation for the agriculture and allied sector has declined from 15.7 per cent of the total budget estimates in 2008-09 to 9.7 per cent in 2010-11, as per the Centre for Budget and Governance Accountability, an NGO in Delhi. Centre’s spending on agriculture as a percentage of GDP has also declined— from 2.5 per cent in 2008-09 to 1.56 per cent last year. Allocations in the past four budgets for major agroschemes is not even 80 per cent of the total outlay advised by Planning Commission for 11th Five Year Plan. P Chengal Reddy of the Consortium of Indian Farmers Association, during his presentation at the pre-budget consultation, demanded FDI in seed, biotechnology and pesticides. He asked the government to set up a `500-crore fund for promoting research and development in GM crops. Supporting him, Joshi said the government should allocate funds to develop GM seeds that can withstand extreme temperatures and precipitation. Joshi also demanded scrapping the Commission for Agricultural Costs and Prices (CACP), which decides MSPs for crops, and the Food Corporation of India (FCI). Scrapping of CACP and FCI would be gross injustice to Indian farmers, said Jawandhia. Through FCI the government procures crops and offers a major support to small farmers. If it is scrapped, farmers would be forced to play into the hands of industry. “We agree that CACP has several drawbacks. But that can be corrected by implementing the Swaminathan committee’s recommendations. 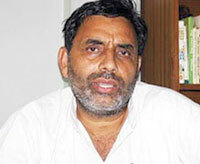 If it is dissolved, farmers would have no assurance for crop price,” he added. Reacting to Reddy’s presentation, Singh said once the government allows FDI in agro-industry, it would extend to the farm sector. Multinationals like Walmart, that have ruined farmers in USA, would bring in contract farming and fix crop prices, making farmers more vulnerable, Singh added. Singh and several other farmer activists, however, allege their concerns may not find a mention in Mukherjee’s checklist because the finance minister did not invite them for pre-budget consultation. P S Pangli, president of Punjab Agriculture University Kisan Club, said Mukherjee should have invited progressive farmers and representatives of agriculture universities to the consultation. The proposal of distributing cash for growing certain crops per acre of land is not a good idea. It is more like socialist idea and will give rise to corruption and inefficiency in utilization of governments money. It will also contribute to inequality in the society. However, proposal for increasing the MSP to 150% of the production cost is not only a good idea but an extremely necessary one. The MSP could even go beyond the market price no harm in that, other economies have tried it. Since our most of the farmers are small scale farmers the earnings on 15% margine is very small and sometimes even less than what is assured in NERGA. The loan waiver schemes which are introduced only in election year should be made mandatory for regions hit by any natural clamity in a particular year. The distribution of cash should not be on the basis of one's landholding but also landless labourers should be considered. This can protect farmers from natural clamity in a better manner.